Feminized selection of one of the most famous and award-winning cannabis strains. It was originally created in honor of activist Jack Herer, and, due to its medicinal qualities, is currently dispensed at Dutch pharmacies as a prescription drug. One of the favourites of eager growers and an impressive cup winner, this crossing of Afghan and Skunk #1 has got everything you could possibly ask for from a plant: huge yield, strong aroma, fantastic taste and high psychoactivity, as well as an easy growing process and an extremely short flowering stage. This plant is the result of cross-breeding Black Domina with Critigal+. Its Afghan ancestry provides an Indica element to this strong, tough hybrid capable of finishing the flowering stage by the end of the summer. These features make it an indispensable choice for outdoor, greenhouse and guerrilla crops, particularly in humid environments. It is a crossing between an autoflowering strain with the genetics of Super Silver Haze and a Cheese, the famous Skunk phenotype that has been selected and grown for years in the United Kingdom. This plant’s high yield and strong effect are sure to come as a surprise. Haze genetics have been very much appreciated over time by a large number of consumers, on account of both taste and effect. Nevertheless, only a few patient growers plant them on a regular basis, as the flowering stage of a pure Haze might take up to 100 days in indoor crops, or up to December in outdoor crops. 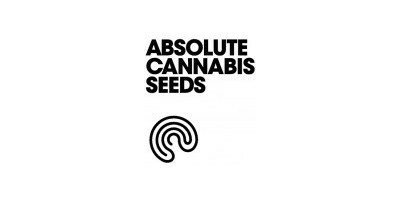 These seeds are the fruit of the joint work between two Galician collectives: Absolute Cannabis Seeds and La Utopia del Norte. We are proud to collaborate with this group of artists from our land, including Erin de Komando Katana and Hard GZ. So much so that we have baptized it with its name: UTOPIA.